From iPhones to iPads, URLs to QR codes, and Webcasts to Virtual Trade Shows, technology is rapidly changing and not even Contracting Profit’s websites are immune. In June we launched a redesigned version of CleanLink.com to bring readers even more of the industry-leading content they expect from us. While we’ll continue to provide informative articles, podcasts and daily news, we’ve also added a few new products to the mix. For those who want to read CP on their computer screen, we now provide a digital version of the magazine; for easy access to articles anytime, we also offer a PDF download of each issue to keep on your hard drive. Our content isn’t limited to the pages of the magazine; CleanLink.com offers a lot of extra information not seen in print, including new articles as well as blog posts by Deputy Editor Lisa Ridgely. 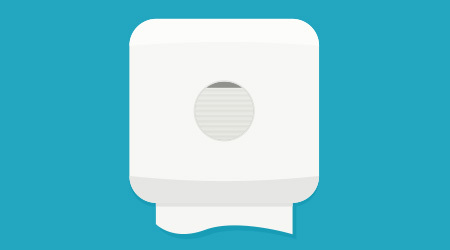 Because some stories are best told through pictures, we’re striving to make CleanLink.com a more visual experience. Our new photo gallery feature will give readers an up-close and graphical look at the industry. In addition, we’ll be uploading more video interviews with readers, starting with My Cleaning Service’s Lisa and Kathleen Bands, both of whom are the focus of this month’s cover story. CleanLink.com was not the only site to receive upgrades. Our vertical social networking site, myCleanLink.com, was also redesigned in June to make it easier for industry members to network with each other. Our forums now are more visible, and popular content is highlighted to ensure everyone can join the discussion. In addition, members can personalize their profile with their industry association membership, certifications and education history. We’ve also included feeds from our other social sites, such as Facebook and Twitter, truly making myCleanlink.com the social hub for the industry.